Arthur Fich first opened his wine and spirits business in Copenhagen in 1916. Along with his importing and selling wines and spirits he also made his own cheaper products such as this absinthe - a Danish essence based absinthe made by wine merchant Arthur Fich's himself in Copenhagen around 1930-40. 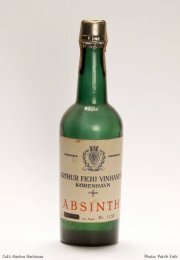 The Arthur Fich Absinth is one of several Danish absinthes produced during the 1900's. This particular one was produced by wine-merchant Arthur Fich in Copenhagen. Mr Fich started his wine and spirits business in 1916 and beside importing and selling wine and spirits he also manufactured some of his own. 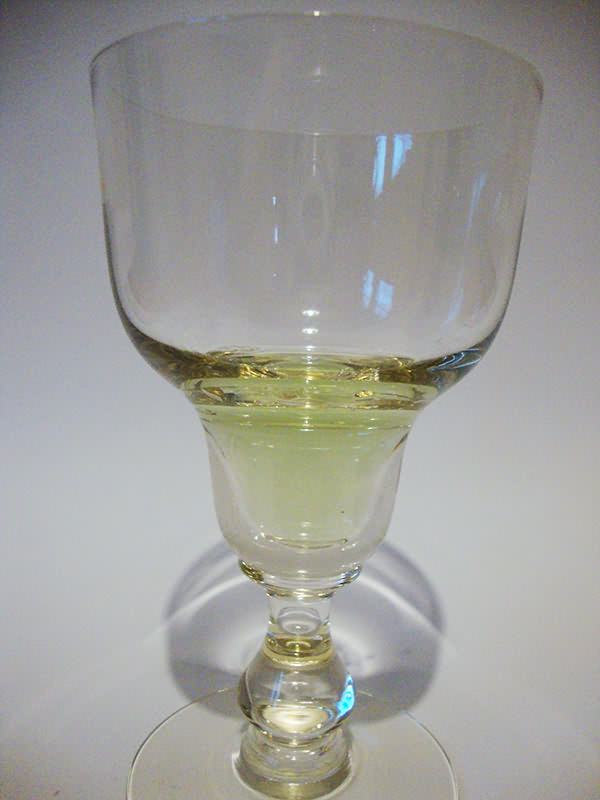 Among other things, he made this - an essence based absinthe. The bottle I have dates to somewhere between 1930 and 1940. 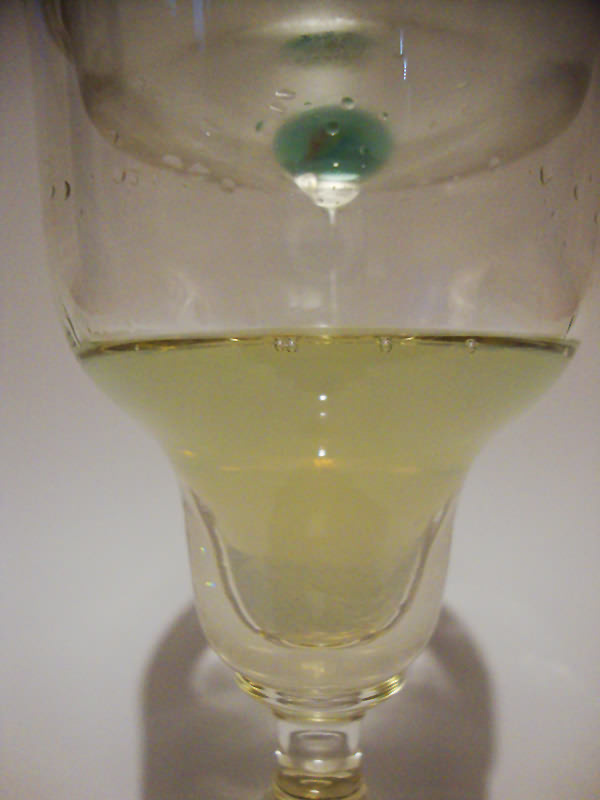 The color of the Arthur Fich Absinth is a pale light green with a faint blue hue to it. If it wasn't for that slight blue in it it would look more natural. As it is now it gets a typical artificial look to it. Smelling it in the glass the pre-louche aroma is quite harsh and uninviting. A quite bitter stinging scent is immediate but it does let through some faint notes of anise but only very subtle. It is obvious though that the aroma is basically that of wormwood extract or possible wormwood coloring. My bet is on this being an essence mix though. There are some interesting floral tones hiding in the back but the bitterness with a touch of mint takes over. After the water is added there's more mint showing through the ever present bitter scent. Also some hints of citrus and even eucalyptus that actually lift it a bit. With anise and fennel (and also quality wormwood) gone completely missing the only redeeming thing to be said about the aroma is that the minty eucalyptus sort of scent is quite interesting and unusual. With some of the traditional ingredients present this might actually have proved to be quite unique. Now it's just strange. On to tasting it the mouthfeel is just very flat and dull and ends in the feeling of having been to the dentist. All rich creaminess of a good quality absinthe is missing. Even though I didn't add more than 2 parts water it feels very watery and bland but with a good kick of alcohol. The taste is very reflective of the aroma. The minty eucalyptus citrus with wormwood extract bitterness added is exactly what comes through in the taste. Like bitter chewing-gum or mouthwash. One good thing is that it actually leaves a fresh mouth and a fresh breath... but that's about it. Strangely though the bitterness is actually countered by the sweetness coming from the eucalyptus-like profile. Thus it never turns into that terrible toungue-curling bitterness. It's fun to see that there have actually been several absinthe brands in Denmark over the decades during the time when it was banned in France and Switzerland etc. Now there's tradition in absinthe making. Someone should tell the people in Val-de-Travers... However Just because it's old doesn't make it good. 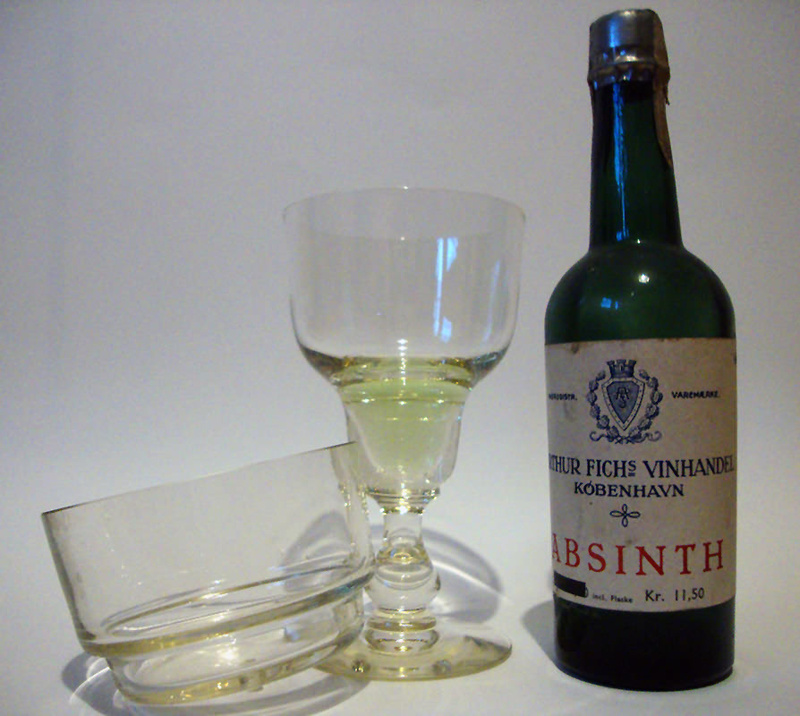 The Arthur Fich Absinth is obviously a wine-merchant-made essence mix. Cheap in its day and most likely a rather good representation of essence mixes around that time. It's a nice bottle to put on the shelf and it goes well in the collection. It's a good thing though that I got better bottles of other liqours along with it because I'm certainly not going to drink this again.